The Summer Dance Intensive Youth Class is designed for students 13 years and older who have a passion for dance. The program will be 6 hours per day for 15 days with a variety of dance training. It provides a unique chance for dancers to work closely with professional teachers and master choreographers from both China and United States. 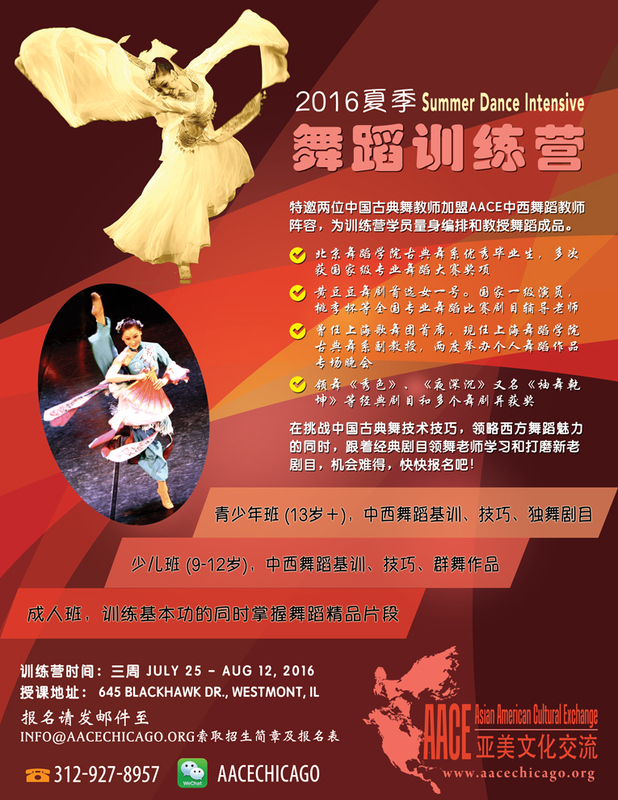 A solo Chinese traditional dance piece will be introduced and taught in class. These passionate young dancers can share this cultural gem with a large variety of audiences through their frequent performances both domestically and abroad in the future.